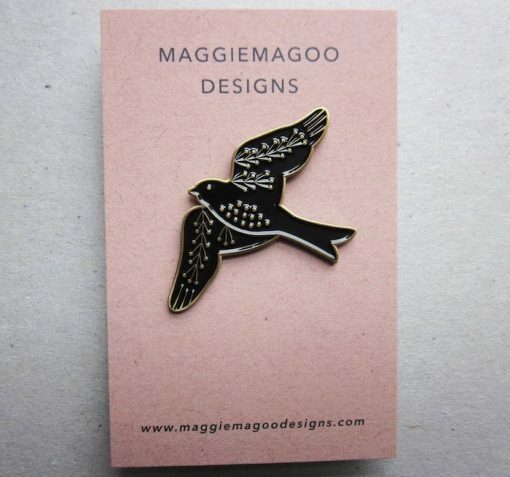 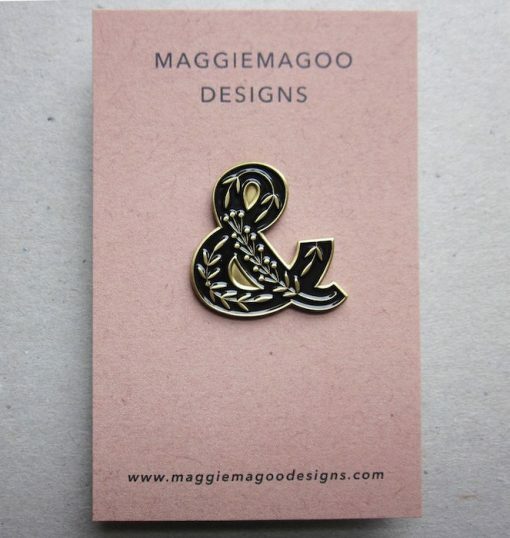 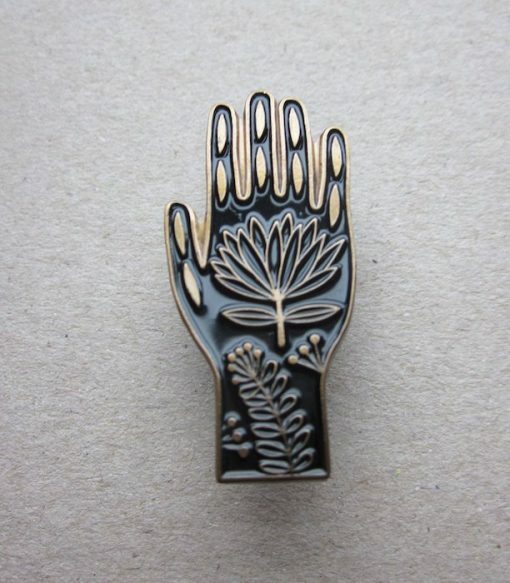 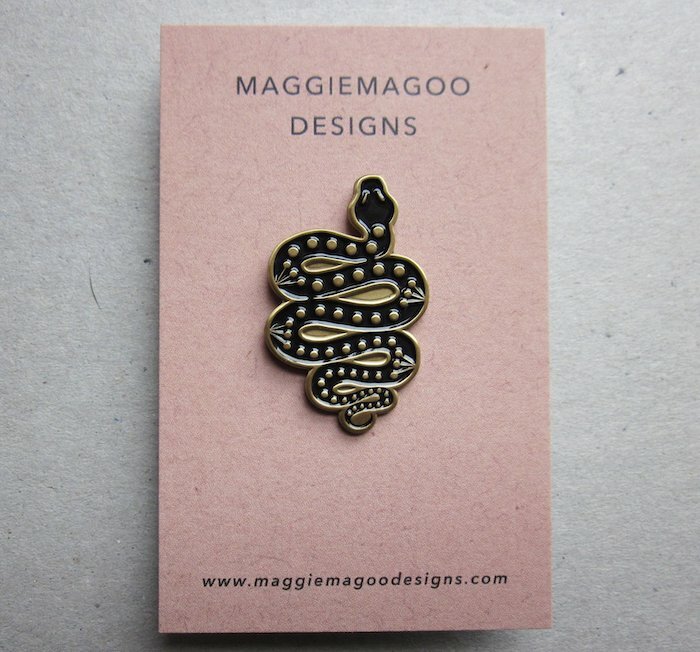 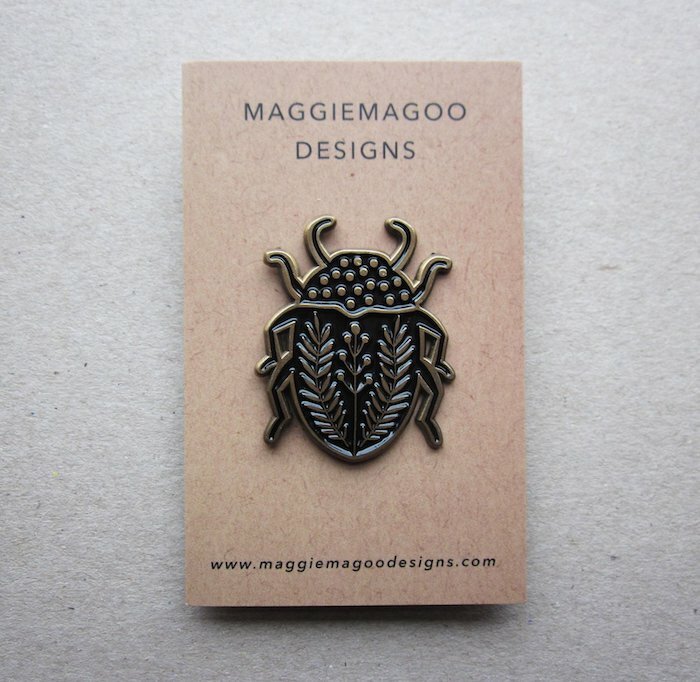 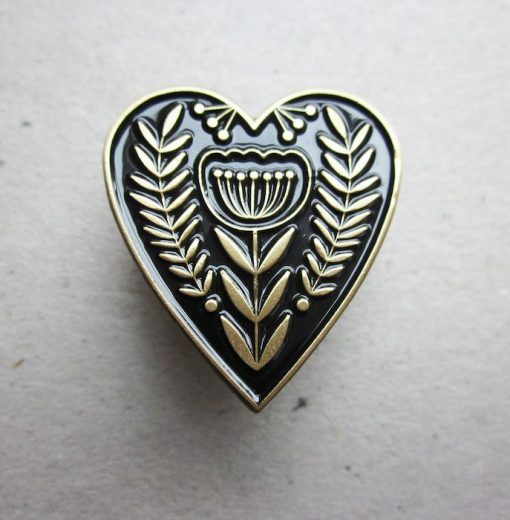 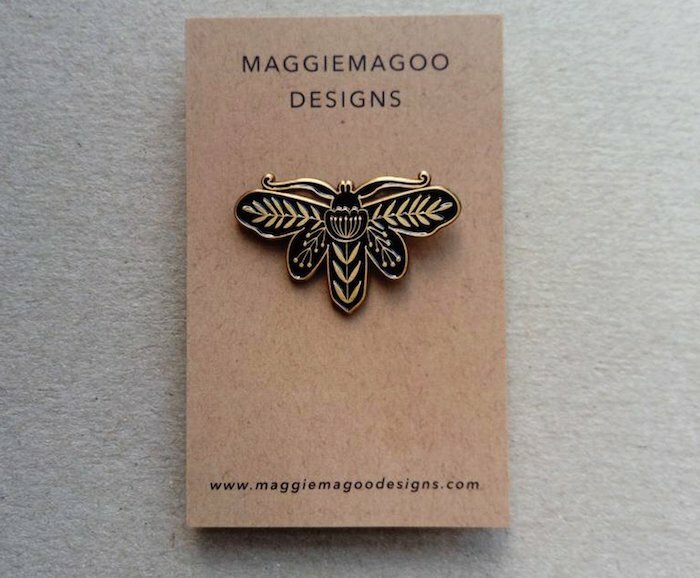 MaggieMagoo’s enamel pin brooches feature beautiful designs in black and gold metal. 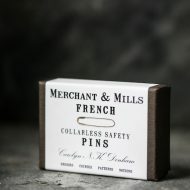 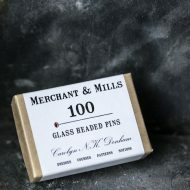 These custom made, high quality soft enamel pin badges have an embossed finish which highlights the detail in the design. 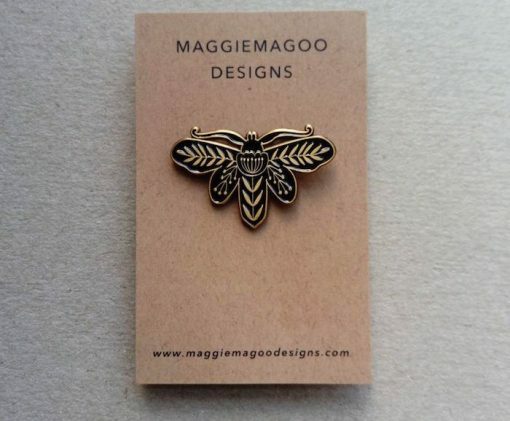 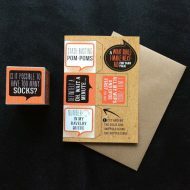 The badges have been inspired by her love of folk art, tattoo art and fascination with moths & bugs! 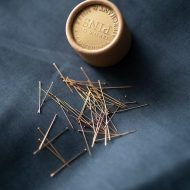 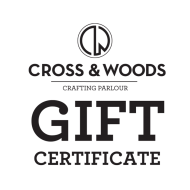 Decorate your project bag, denim jacket, tote bag, or coat with a cute pin badge. Maybe you’re an avid pin badge collector, or you simply fell in love with her amazing work, but this is a must for any collection! 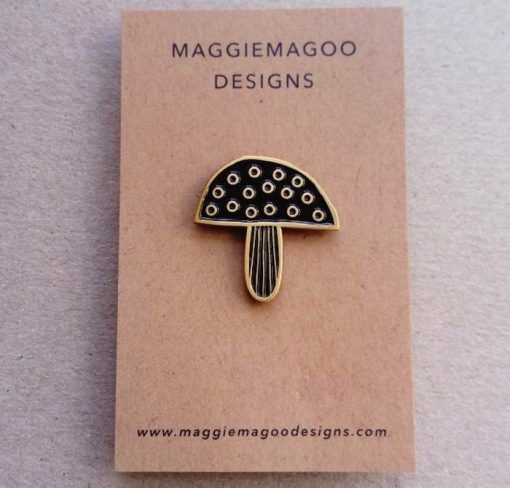 The pin is made from enamel and has a gold coloured outline and comes presented on a MaggieMagoo designs branded backing card. Badges vary in size per design. 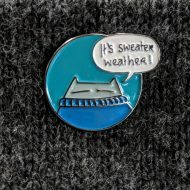 “I live in West Yorkshire, England with Jon & Maggie the terrier. 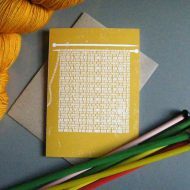 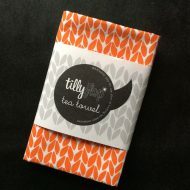 This is where I studied surface pattern design & printed textiles and discovered my love of screen printing and pattern. 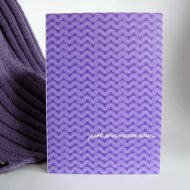 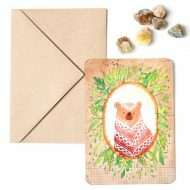 This collection of work was inspired by nature, my love of pattern & mid century design and my passion for colo ur. 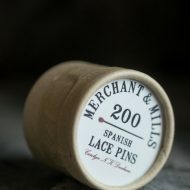 I’m an avid collector of all things vintage & retro, especially fabrics and ceramics. 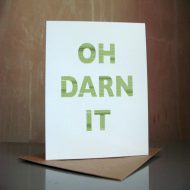 I also have a large collection of cacti & succulents which seem to be surviving so far!